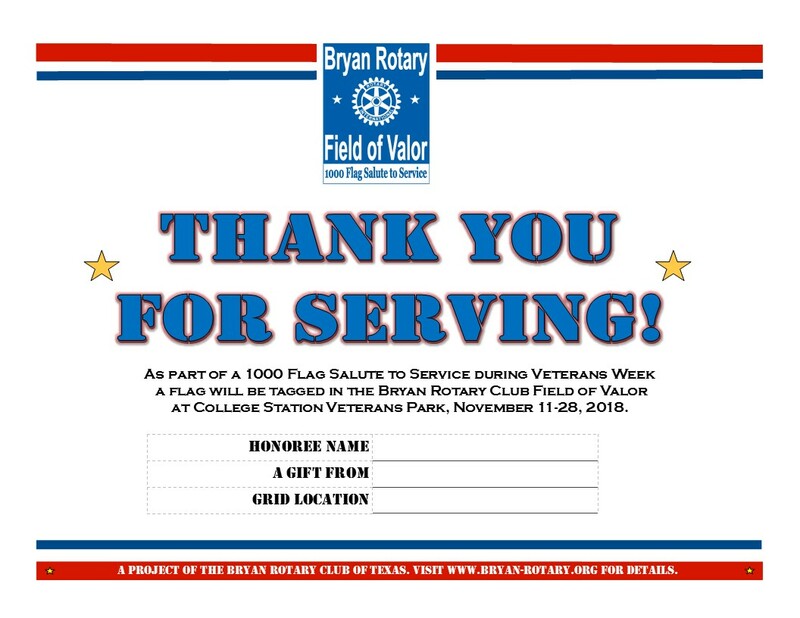 2018 FOV purpose | The Rotary Club of Bryan Texas, Inc.
For Veterans Week 2018, November 11-18, the Bryan Rotary Club will setup our 7th annual Field of Valor—1000 Flag Salute to Service. 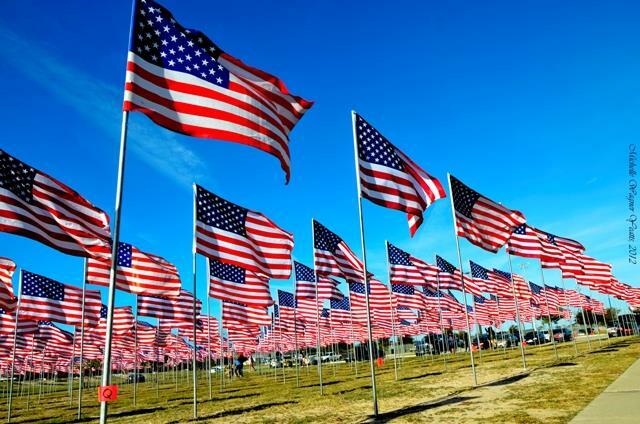 This is a patriotic display of American flags at Veterans Park in College Station, Texas. The Bryan Rotary Field of Valor exists to SERVE the community through funds raised, to HONOR Veterans and First Responders for their selfless service, and to EDUCATE students through teacher mini-grants and scholarships. This display is posted for a week and it is accessible and visible to the thousands who gather at the park for daily recreational activities & leagues and for Veterans Day activities hosted there. For a $50 donation, a 3'x5' American Flag on a 10' pole will be posted and tagged with your name and an Honoree’s information. Thank you for your support!